Can We Cast Caste Away? A Marathi poem by Praveen Vaidya puts the focus on India’s worst and biggest of all problems – casteism. मदत करणारच होतो हो आम्ही..
म्हणून त्यानं आत्महत्या केली होती..
Posted on July 19, 2018 Categories UncategorizedLeave a comment on Can We Cast Caste Away? Posted on July 15, 2018 Categories UncategorizedLeave a comment on Is ‘Education’ English? On one of the WhatsApp groups I read regularly complaints about the rude behaviour of public sector bank staff and replies by some bankers in the group extolling bankers, bemoaning the government’s bad treatment of bankers and backing their demands.nEveryone in this country feels he/she alone works sincerely and honestly and all others are frauds.nThese include corrupt newspaper or news channel jouralists who distort news for Netas in exchange for notes (‘envelope journalism’ in my book), bankers who feel ‘customer is always wrong’ and give three loans on one property, railway employees who delay every train, let compartments stink and allot seats for bribe, govt employees who.move files only when paid and ask for a (costly) ‘weight’ on every application, workers feeling it is right to be paid for not working, doctors who order unneeded tests or want money for doing duty …. the list can take many pages.nThe fact is that there are black sheep in all professions. Perhaps their number is growing. They may be the majority.nThis is because we all feel we deserve much more than what we get, see nothing wrong in taking bribes and value material wealth, equating pleasure with happiness or prosperity with success.nThere are crooks (others) in every field and also good people (ourselves).nEveryone is three persons: what they think they are, what others think they are and what they really are.nI thought I was always helping others, above average in my work, mentoring new entrants into my field, rising above consumerism, popular in my peer group, honest, and very successful.nAfter two books, I found NO ONE ELSE thinks so. I did not know myself.n’Know thyself’ and self realisation are what all religions preach. of the WhatsApp groups I read regularly complaints about the rude behaviour of public sector bank staff and replies by some bankers in the group extolling bankers, bemoaning the government’s bad treatment of bankers and backing their demands. Everyone in this country feels he/she alone works sincerely and honestly and all others are frauds. 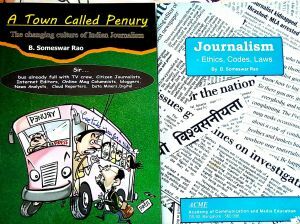 These include corrupt newspaper or news channel jouralists who distort news for Netas in exchange for notes (‘envelope journalism’ in my book), bankers who feel ‘customer is always wrong’ and give three loans on one property, railway employees who delay every train, let compartments stink and allot seats for bribe, govt employees who.move files only when paid and ask for a (costly) ‘weight’ on every application, workers feeling it is right to be paid for not working, doctors who order unneeded tests or want money for doing duty …. the list can take many pages. The fact is that there are black sheep in all professions. Perhaps their number is growing. They may be the majority. This is because we all feel we deserve much more than what we get, see nothing wrong in taking bribes and value material wealth, equating pleasure with happiness or prosperity with success. There are crooks (others) in every field and also good people (ourselves). Everyone is three persons: what they think they are, what others think they are and what they really are. I thought I was always helping others, above average in my work, mentoring new entrants into my field, rising above consumerism, popular in my peer group, successful, and very very honest. After two books, I found NO ONE ELSE thinks so. I did not know myself. ‘Know thyself’ and self realisation are what all religions preach. Posted on July 11, 2018 Categories UncategorizedLeave a comment on Why ‘Know Thyself’? Someone has been really creative to write this post…… I am only republishing it.Thanks Anonymous. I am your weaker sibling, white. How are you? I am fine here in India and I hope you are enjoying your stay in Switzerland. I am writing this letter as I have heard that you are coming back to India. Is it true ? If it is, then I will suggest you to please reconsider your decision. been growing in numbers and I am at the mercy of salaried employees who do not have your privilege. People often call me No.1, but it’s you who went places- from Mauritius to Dubai to Switzerland, while I was locked in FD, Post Office or in PF. While I suffer from high rates of GST, Income Tax, , Property Tax, Entry Tax etc., you are immune to all of them. You will be glad to know that today, there is no piece of land in India which can be sold or bought without you. You have been successful in buying MPs and also made special appearance in Parliament. Credit goes only to you Black, that today, even a government peon can become a millionaire. People here won’t accept a girl even if she is slightly black, but when it comes to money, they treat both black and white equally. Despite all this, please don’t come back from Switzerland. Black, if you come back, don’t expect to be of any help for the poor. You will again be routed in the hands of those special few on the pretext of schemes like MNREGA or Indira Awas Yojna. Instead of the wonderful lockers of Swiss banks, you will be kept hidden behind the walls, beneath the bed and sometimes, even in loos. You won’t get the privilege of cheques or credit card. In its place, you will be exchanged on the basis of Rs.10 note. Some smart peoples, called Chartered Accountants, may also force you to convert into me. Trust me brother! Don’t come back to India because the hearts of people, here, are blacker than your colour. 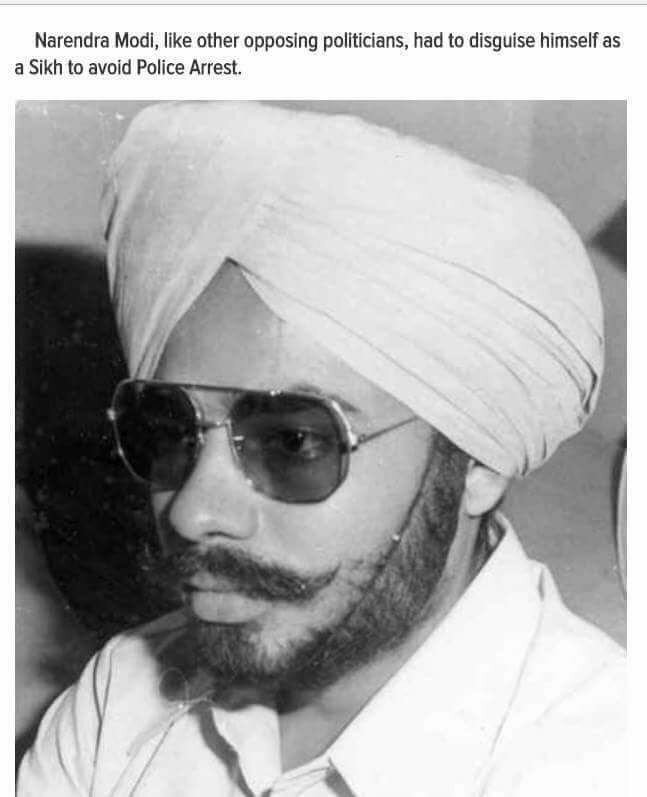 TODAY, June 25, is the anniversary of the day when 43 years ago a power-hungry leader converted India into a jail for 19 months. Indira Gandhi imposed Emergency in 1975 to stay on In power just because a court set aside her election as MP and barred her from becoming Prime Minister for six years..
That a person who jailed all political leaders who were not her sycophants and committed many other atrocities just to pepetrate her dynasty, could win an election to return to power was unbelievable. But that did happen. The sycophants chose a pilot with no administrative experience as her successor just because he belonged to the dynasty. When he met the same fate as his mother the dynasty devotees wanted his foreign-born wife, inexperienced like him, to rule india. And she chose to weild power without responsibilty through a dummy PM just because her own son, as dynastic successor, was too obviously unfit to rule. That the valiant Sikh state of Punjab would elect a party which sent the Army into the sacred Golden temple and make an ex-Captain of the same Army the Chief Minister sounded aqually impossible. But that is exactly what happened. 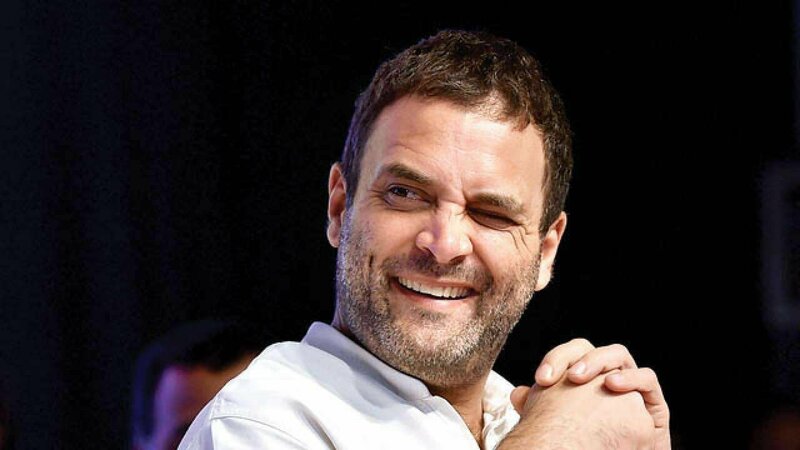 So it is certain that a Congress chief who was referred to as Pappu and who competed with himself to make ridiculous statements would one day become the Prime Minister of India. Caste, appeasement and bank politics show we are all dynasty devotees who like to be ruled by Rajas. We refuse to learn the lessons of history and are condemned to repeat them.